VEDA Associates were employed by Dyer and Butler as Civil Engineering designer for their platform enhancement works at Dunton Green Station. 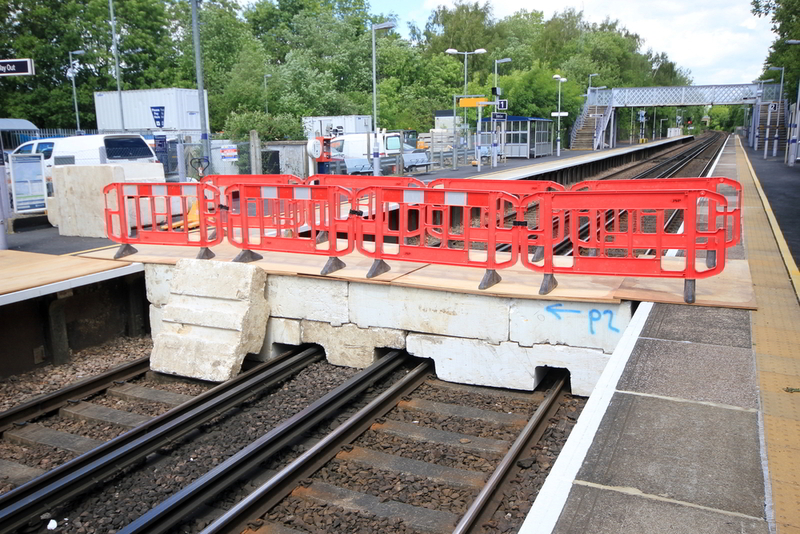 To help enable the permanent works a polybridge temporary crossing was required to allow movement of site vehicles between Platform 1 & 2 during possessions. The polybridge was constructed using Filcor Grade 70, an expanded polystyrene and stretched approximately 6 meters across the track. A scaffold system was also designed to provide edge protection for the bridge. The temporary bridge was designed for a Bomag BW 120 AD-5 Vibratory Roller 2.7t and other smaller plant.